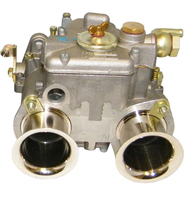 Weber performance carburetter kit for the Triumph TR6. The kit includes 3 x 40 DCOE carburetters, inlet manifold, linkage and mounting kit. Comes complete with a Weber Tuning Manual.